I've been finding some fun Valentine's Day stuff on Pinterest this week, and thought I'd share a few of my favorites with you! Not much into the whole crafting bit, but still want something cute on your shelf or mantel? 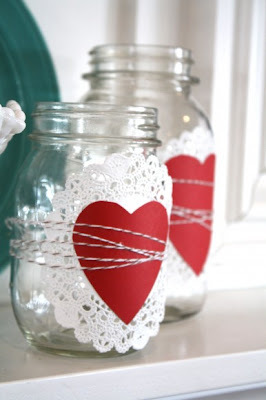 Wrap a paper doily and heart cut out around a jar and tie with some decorative twine or string- simple! 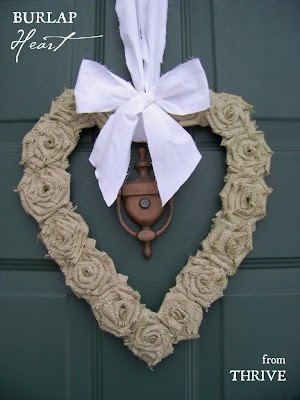 I thought about doing this and putting little candles inside! 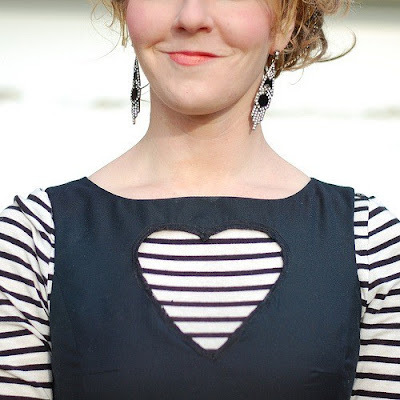 How cute is this dress with a heart shaped cut out?! Wear anything underneath to show up a pretty colored or designed heart! Perfect attire for the big special day! 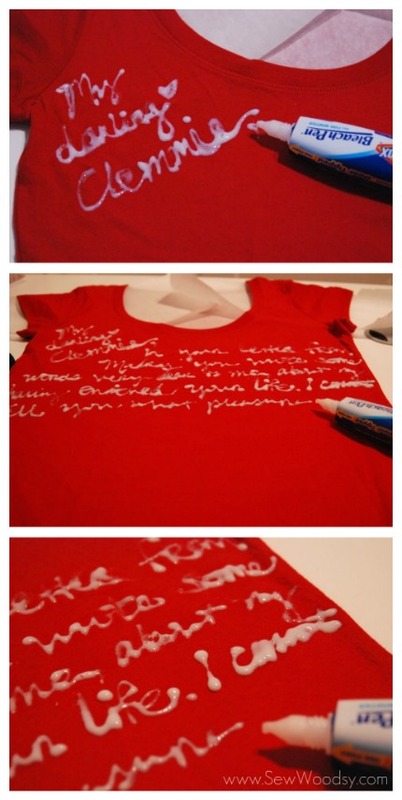 Or how about a love letter t-shirt? Grab a bleach pen and t-shirt and write down a sweet little note on the shirt! 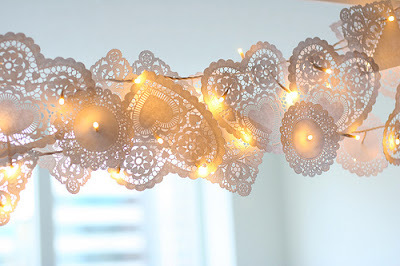 I think strands of lights hanging or dangling over something is just so cozy and romantic. 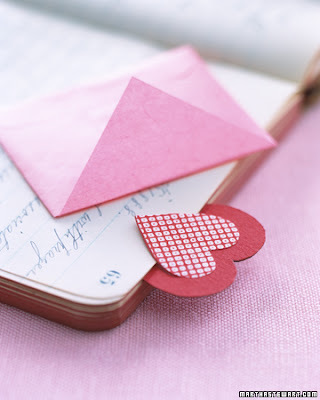 Make a set of these paper heart bookmarks and gift them to a friend, maybe along with some stationary or set of cards. Super cute and looks pretty easy too! 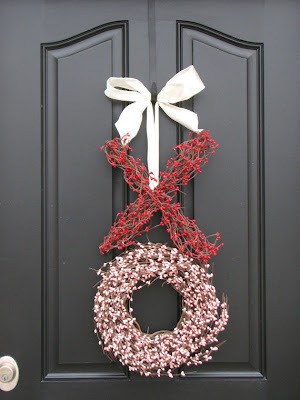 Okay now, I just fell in love with these two gorgeous wreaths! They are my favorite Valentine finds so far! I want to make both of them! If I had burlap material I would have made this one already! Hope you enjoyed those fun finds. 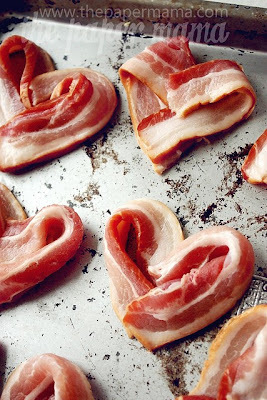 What are some of YOUR favorite Valentine ideas you've bumped into recently? Yours looks just like this! !